Keith Earls may yet be able to play through the pain barrier but there are genuine concerns over two Irish forwards. 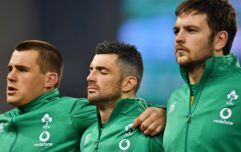 All of a sudden, Ireland have gone from having heavily stacked second and back-row units to looking to a man who was not in the original squad and another who has played only 70 minutes since last November. 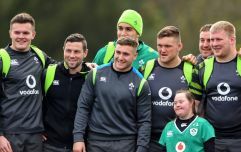 Ireland are set to post a squad fitness update on Monday afternoon and the headline news may well be CJ Stander, who is understood to have fractured his cheekbone in the 32-20 loss to England. Elsewhere in the IRFU release, fans will scan thoroughly for mentions of Keith Earls and Devin Toner, who were both withdrawn with injuries. Earls has a hip-pointer injury that hindered him at the weekend but he should still have a chance of facing Scotland. For Toner, it may be a matter of waiting and hoping. 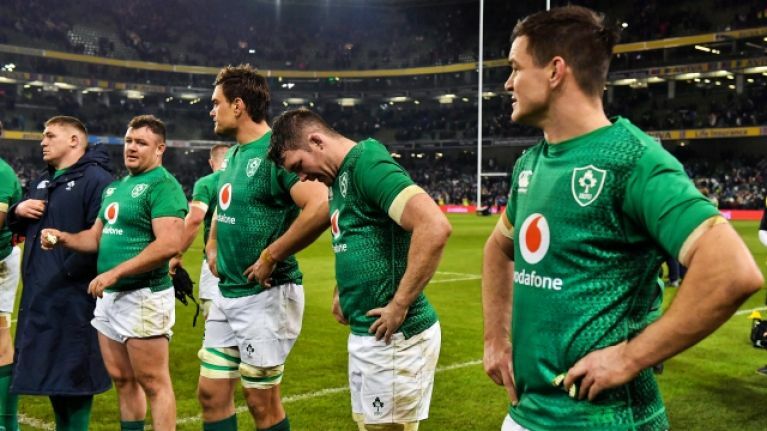 The injury concerns, and how Ireland may line up against Scotland, were discussed by Barry Murphy and Andrew Trimble [from 40:00 below] on the latest episode of Baz & Andrew's House of Rugby. Devin Toner came into Ireland's Guinness Six Nations opener having played 211 minutes since the November win over New Zealand. The Leinster lock made three starts but was out of action for a few weeks before returning for the Champions Cup win over Wasps. He did his job well enough, in terms of claiming restarts and calling/claiming lineouts, but he was not as effective around the breakdown as he has often been in the past. Toner usually clears out beyond the ball - forcing the offside line back a metre or so - but England often left men out of rucks and negated his rangy influence. Toner's game came to an end on 56 minutes when he landed awkwardly on his ankle after clutching onto an English restart. Toner was slow to pick himself up and he hobbled about on the right flank until a scrum was called by referee Jerome Garces. The 6-foot-10 lock limped to the sideline as Connacht's Quinn Roux took his place. Joe Schmidt later confirmed Toner had 'rolled his ankle' and would be looked at by the medics on Sunday. "Dev Toner if he’s out I would say Quinn Roux would be straight in, and then Ultan Dillane on the bench." 28-year-old Roux has nine Ireland caps [four starts] and last played from the get-go in the November win over Italy. He combined impressively with Beirne that day and women's international Jenny Murphy says he is in great form. "I saw him against Sale Sharks in the Challenge Cup a couple of weeks ago and he was cracking," she said. "He was man of the match and was really good at getting around the park. He was [defending] on the wing at one stage, against Chris Ashton, and he got the tackle in." "Yeah, Seanie at 8. He’s such a smart player as well. He’s not just like big, strong, like he’s got everything you want a back-row to have as well. And you hear from camp that he’s got a big coaching head as well." "He came on the pitch and he was giving a lot of messages and he was speaking a lot," Barry Murphy noted. "He was quite vocal, which I thought was great – they needed it at that point. So, great to see him back. He had a huge impact."